Análisis del comportamiento de internacionalización de pequeñas y medianas empresas exportadoras. El caso de empresas exitosas de la industria del software en Lima | Sotavento M.B.A.
Méndez Lazarte, C. 2015. Análisis del comportamiento de internacionalización de pequeñas y medianas empresas exportadoras. El caso de empresas exitosas de la industria del software en Lima. Sotavento M.B.A. 25 (may 2015), 18 - 25. DOI:https://doi.org/10.18601/01233734.n25.03. Growth of Technology - based New Firms”, en Frontiers of Entrepreneurship Research, 413-424. Baker, S. E. & Edwards, R. (2012). “How many Qualitive Interviews is Enough? Expert Voices and Early Carrer Reflections on Sampling and Cases in Qualitive Research”, en National Centre of Research Methods Review Paper. Bastos Tigre, P. & Silveira Marques, F. (2009). Desafíos y oportunidades de la industria del software en América Latina. Bogota: Cepal en coedición con Mayol Ediciones S.A.
Bell, J. (1995). “The Internationalization of Small Computer Software Firms: A Further Challenge to Stage Theories”, en European Journal of Marketing, 60-75. Burgel, O. & Murray, G. (2000). “The International Market Entry Choices of Start-up Companies in High-Technology Industries”, en Journal of International Marketing, 33-62. Cancino, C. A. & La Paz, A. (2010). “International New Ventures en Chile: tres casos de éxito”, en Academia Revista Latonoamericana de Administración. Coviello, N. & Munro, H. (1995). “Growing the Entrepreneurial Firm: Networking for International Market Development”, en European Journal of Marketing, 49-61. Did, L. A.; Da Rocha, A. & Da Silva, J. (2010). “The Internationalization Process of Brazilian Software firms and the Born global Phenomenon: Examining Firm, Network, and Entrepreneur Variables”, en Springer Science Business Media. Fuerst, S. (2010). 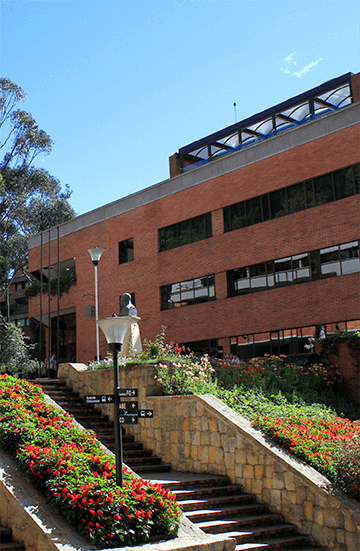 “Global Marketing Strategy: The case of a Born Global Software Firm in Colombia”, en Revista Ciencias Estratégicas de la Universidad Pontificia Bolivariana. Johanson, J. & Valhne, J. (1977). “The Internationalizartion Process of the Firm- A model of Knowledge Development and Increasing Foreign Market Commitments”, en Journal. Johanson, J. & Valhne, J. (2009). “The Uppsala Internationalization Process Model Revisited:From Liability of Foreings to Liability of Outsidership”, en Journal International Business. Jones, M. (1999). “The Internationalization of Small High-Technology Firms”, en Journal of International Marketing, 15-41. Kantis, H. & Federico, J. (2006). ¿Born Global en Argentina? : El caso de las Nuevas Empresas Exportadoras. Buenos Aires: Universidad Nacional de General Sarmiento. Kantis, H.; Federico, J.; Rialp, A. & Rialp, J. (2009). “Does Entrepreneurs Human and R0elational Capital affect early Internationalisation? A Cross-regional Comparison”, en European Journal of International Management, 199-215. Miles, M. B. & Huberman, A. M. (1994). Qualitative Data Analysis. California: Sage publications Inc.
Oviatt, B. & McDougall, P. (1994). “Toward a Theory of International New Ventures”, en Journal of International Business, 45-64. Oviatt, B. & McDougall, P. (1996). “New Venture Internationalization, Strategic Change, and Performance: A Follow-Up Study”, en Journal of Business Venturing, 23-40.
promperu (2011). Software Perú - Portafolio. Lima: promperu. Rialp-Criado, A.; Rialp-Criado, J.; Urbano, D. & Vaillant, Y. (2005). “The Born Global Phenomenon:A comparative Case Study Research”, en Journal of International Entrepreneurship, 133-171. Roberts, E. & Senturia, T. (1996). “Globalizing the Emerging High-Technology Company”, en Industrial Marketing Management, 491-506. Sharma, D. & Blomstermo, A. (2002). The internationalization process of Born Globals. The Stockholm School of Economics & Copenhagen Business School, & Uppsala University. Strauss, A. & Corbin, J. (2002). Bases de la investigación cualitativa: técnicas y procedimientos para desarrollar la teoría fundamentada. Bogotá: Sage publications Inc.
unctad, C. d. (2012). Informe sobre Economía de la Información, la industrial del software y los países en desarrollo. Washington d.c: unctad. Yin, R. (1994). Case Study Research: Design and Methods. California: Sage publications Inc.
Zahra, S. A.; Ireland, R. D. & Hitt, M. A.(2000). “International Expansion by New Venture Firms; International Diversity, Mode of Market Entry, Technological Lerning, and Performance”, en Academy of Management Journal, 925-950.